About — Gloriosa & Co. The Curtis House's pastoral charm and beautiful gardens offers laid back elegance in a natural setting. An event here goes beyond the typical five-hour party. 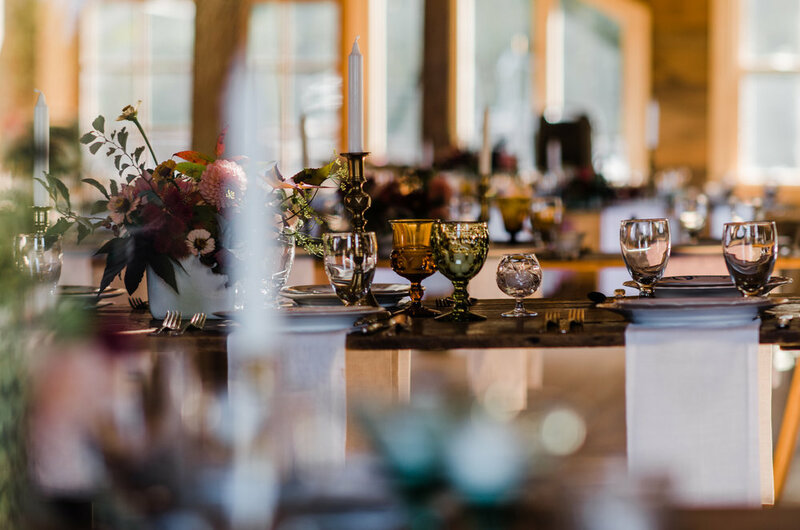 We host one event a weekend and for three days the entire Curtis House, barn and grounds are yours, including overnight accommodations for up to nine. Feel free to host your rehearsal dinner outside in our apple orchard, guests only have to move into the house for an after party. or have a morning after brunch with family in the sun room. We'll take care of the planning, day of coordination, catering, any rental needs and if you'd like floral designs. Our late 19th century barn has recently been restored and fully opened for events in 2017, accommodating up to 140. The barn retains it's rustic charm with exposed beams, locally milled hardwood floors, and a stone patio that opens into one of our cut flower gardens. In the spring of 2018 our antique Lutton glass greenhouse, which extends from the back of the barn, will be complete. Ceremonies typically take place under the apple trees or in front of stone wall gates, but we're also next door to two iconic New England churches and within a few miles of beautiful scenic vistas. Planning a winter wedding? No problem, we can accommodate up to 60 in the barn with the rental of a heater or up to 20 in the house. In house catering is required for the reception. Packages include all staffing, bartenders, dinnerware rentals, and linens. Pricing ranges from $75-100 per person. If booking with us for the weekend, offsite caterers are welcome for the rehearsal dinner or day after brunch. For more information please contact us.